iOS 8 is just around the corner (and as all updates, potentially unjailbreakable), but for folks who have found themselves stuck on the more recent 7.1.1 and unable to jailbreak, there's finally an option. Thrown together by as-yet untested Chinese developers Pangu, the untethered jailbreak is Windows only, but works for all devices that can run 7.1.1. 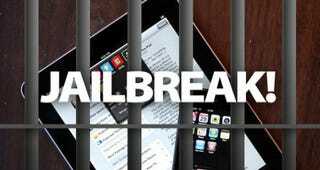 A few other jailbreaks have been demoed, but none of have made it into the wild until now. Of course, given that this is Pangu's first stab at jailbreaking, it might be wise to be cautious; there's no telling (yet) if any bits of Pangu's code are busted or malicious. This is hot off the presses so you should probably wait for the dust to settle. If you can't (you should!) you can download the tool here.